New York, NY – September 13, 2016 – Vela, a global industry leader in high performance trading and market data technology, has successfully on-boarded its consolidated market data feed, SuperFeed, at Money.Net, one of New York’s fastest growing financial services companies. Money.Net has integrated SuperFeed’s normalized low-latency content into its market data distribution platform allowing it to grow into other asset classes and will now offer this solution to its ever-expanding global customer base. Money.Net offers an easily accessible market data platform that empowers investors and traders with real-time information and tools, at a significantly lower cost than other inferior solutions. Among its features, the platform includes professional charting, live breaking market news and integration tools for Excel. 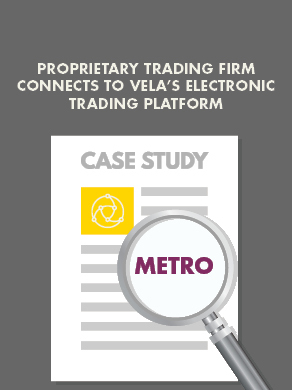 Vela’s SuperFeed provides a unique blend of low-latency consolidated market data delivery and comprehensive market coverage to offer clients an attractive alternative to the industry’s incumbent global data vendors. It also offers clients the benefit of a direct feed with a cost-effective solution to manage increasing data volumes without latency and quality compromises. SuperFeed will power Money.Net’s display terminals, ensuring clients receive high quality and reliable, real-time market data. Along with SuperFeed, Money.Net will leverage Vela’s caching and distribution component to create a state-of-the-art technology solution with a small hardware footprint at a low cost. For more information, please contact Vela at +1 646 713 2773 or sales@tradevela.com. Money.Net, the next generation financial technology provider, is taking on industry giants Bloomberg and Thomson Reuters with its new financial data desktop and mobile platforms. The firm will bolster its already strong offering by adding innovative features and functionality which could change the way Wall Street views and consumes data. For more information, please visit www.money.net. Vela (formerly SR Labs) is an independent global leader in high performance trading and market data technology. We provide the breadth of coverage and depth of expertise demanded by today’s multi-asset, multi-region electronic trading environment. Our clients benefit from white-glove global customer support and professional services from an experienced team comprised of seasoned financial services industry experts and cutting edge technologists.